MacKay-Lyons Sweetapple Architects are well known for their “Village Architect” approach. Principal architect, Brian Mackay-Lyons, is the author of his own authentic creative community in his home of Nova Scotia called Shobac. The event program Ghost (similar in spirit to Summit) held annually with his peers, family and students, has transformed his family farm into a cultural and architectural point of interest. We selected this design team for the project because of their optimistic world view, thoughtful creative process, respect for “place” and the beautiful results of their buildings and environmental design. Brian is a professor and an urbanist who understands and thoughtfully develops regionally specific design for cities and is recognized all over the world. The office of Mackay-Lyons Sweetapple Architects also designs beautiful and well publicized (several books, Arch Record, Architizer, etc.) single family homes such as Mirror Point Cottage, Cliff House, Martin-Lancaster House, and Two Hulls House. The horizon neighborhood is designed around the tradition of rallying to watch the sun set. Sited architecturally to maximize a southwestern orientation with incredible views to mt. Ogden, the Wasatch, and the Great Salt Lake beyond. Thirty units adjacent to a private event center and multi-season lodge with unrivaled direct access to powder country. 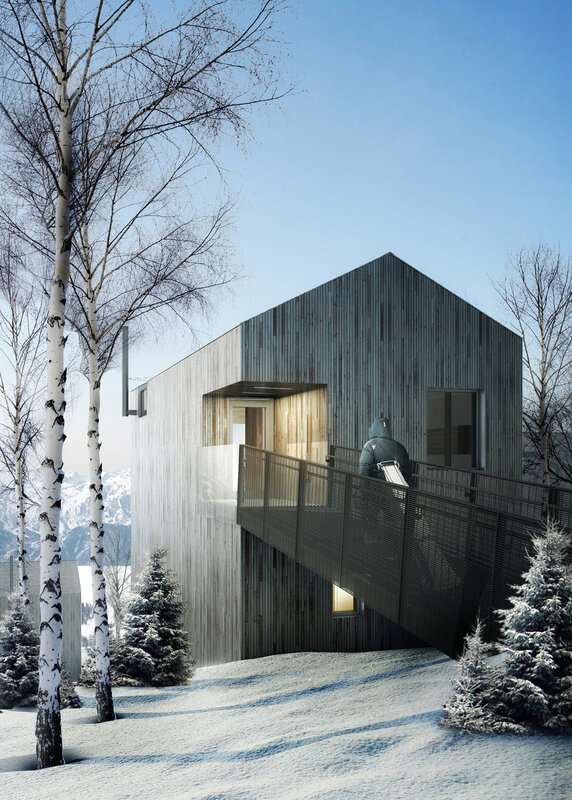 Four modern cabin types to suit your lifestyle.